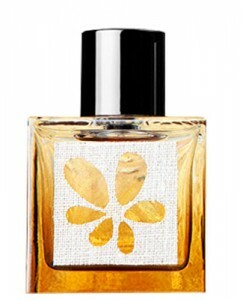 * Peach and melon, with a slight floral essence, are the initial notes. * The peach gets stronger and louder until it broadcasts. It’s an edible, ripe peach that is more than a bit enticing. * A sweet rose joins in as the peach begins to calm down. A hint of vanilla starts to sweeten things up. * In the dry down, the rose and vanilla play equal starring roles supported by a slight base of sandalwood. Summary: If this were a mainstream fragrance sold at a department store, it would fly off the shelves. It is a very pretty and accessible fruity floral that is sweet but not overbearing. Of the four scents, this is the most overtly feminine and it would be hard to imagine a guy wearing it, even harder to imagine it as an office scent. One thing though, it smells really expensive – a very luxe-y rose, really luscious peaches, and high quality vanilla is what makes this more of a niche scent and not your typical department store fragrance. I wonder, in general, how niche lines do when they make more “crowd pleaser” scents? Whether they sell, at the usually higher niche prices, or whether they struggle to find a market. Thanks for the food for thought. I wonder that too. Like for example Guerlain Gourmand Coquin – is a real crowd pleaser – but at $200+ out of the reach of most people. If priced in their mainstream line, a lot of people think it would be massive. This is a good question to bring up at the next Elements Showcase.